Home » Cheryl's Shoebox Blog » Gracias Jim Davis and David Wilhoit! Gracias Jim Davis and David Wilhoit! A huge shout out and Thank you to Jim Davis and David Wilhoit and their very generous family and friends!! 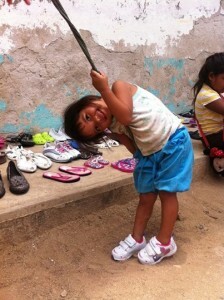 You have continued to support us with gathering shoes and cash donations! Creating lots of happy smiles from many less fortunate children here.